On March 7, we’re bringing the entire community together with a telethon on multiple Atlanta TV channels to share the lifesaving stories you’ve made possible. And, we’ll be showing everyone how they can make a tremendous impact on the homeless dogs and cats still out there waiting for someone to save them. 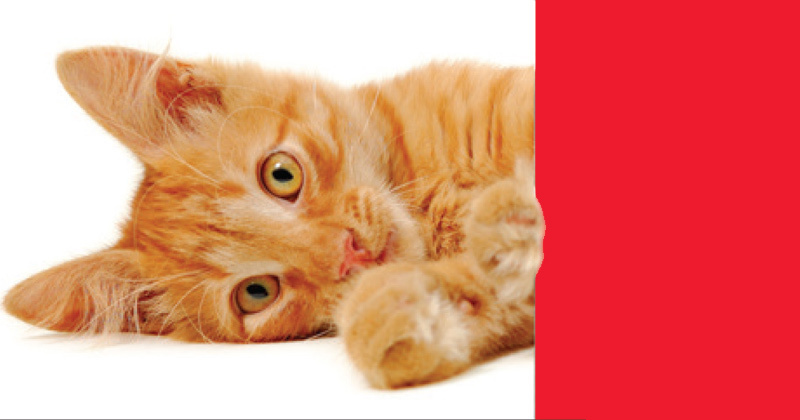 Thanks to a generous match from Purina®, your gift today will save TWICE as many waiting animals. When you give today, it doubles. 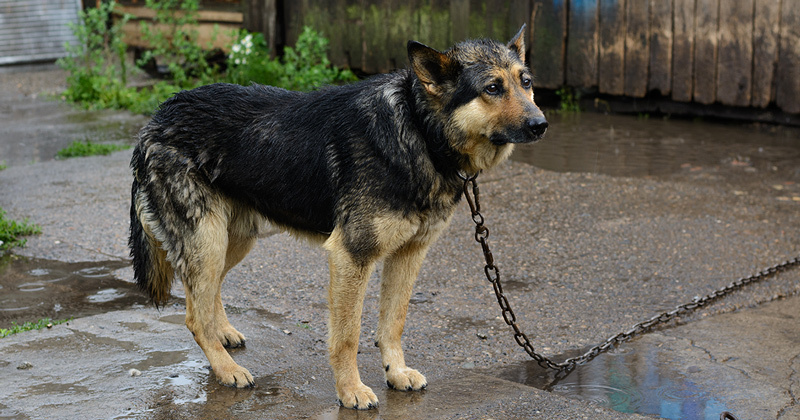 With so many animals in need right now, we must have our community’s support to save them. This match, and the Day of Giving, couldn’t come at a better time. 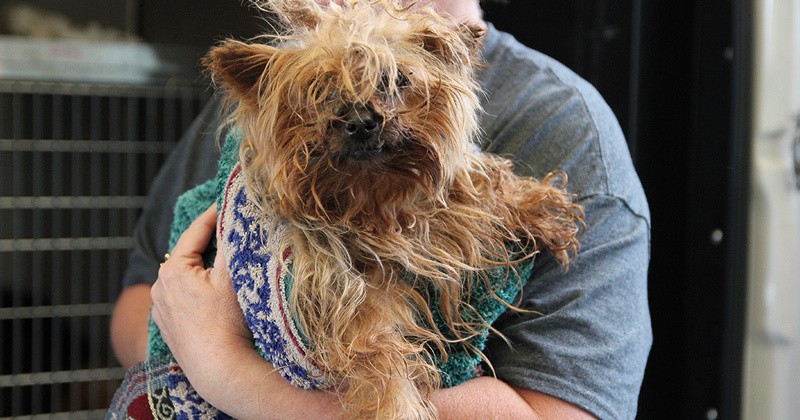 On the Day of Giving, watch for dozens of stories about animals like Grits. 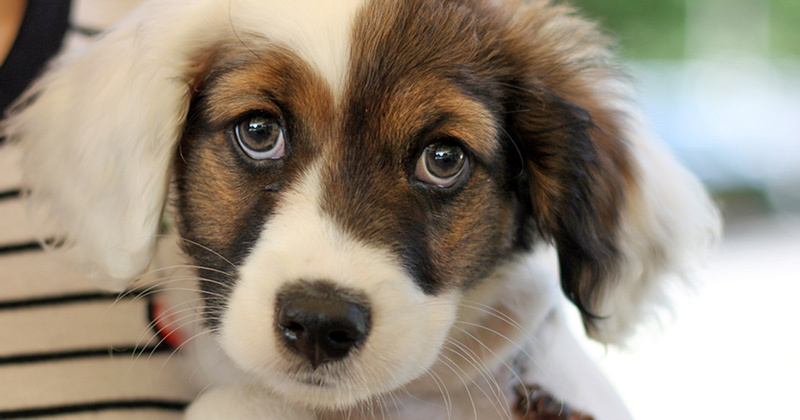 Once a frisky puppy, there was now something terribly wrong with the adorable Grits. Her bones were shaking and her body ached. Her temperature dropped and she was refusing to eat. Our Shelter Medicine Team ran a parvo test on her . . . and it came back positive. 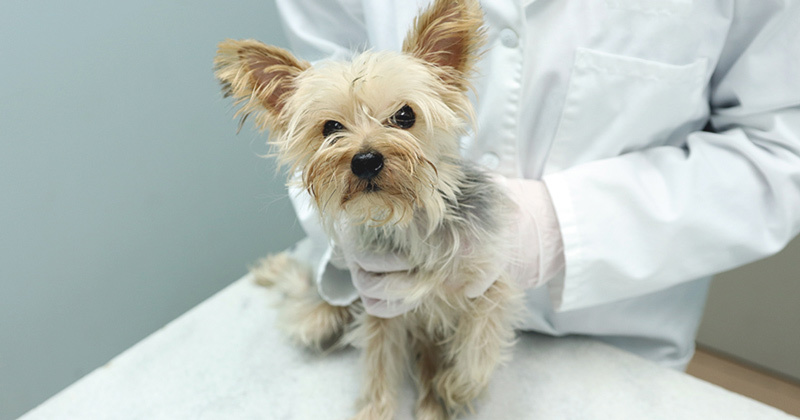 Most shelters have to euthanize at the first sign of parvo, but because we have the continued support of donors like you, parvo is not a death sentence. Your support allowed Grits to fight this horrible disease. With you behind her, she made it through parvo and into the loving arms of a family who cherishes her. Grits’ medical success was only possible because of generous friends like you. 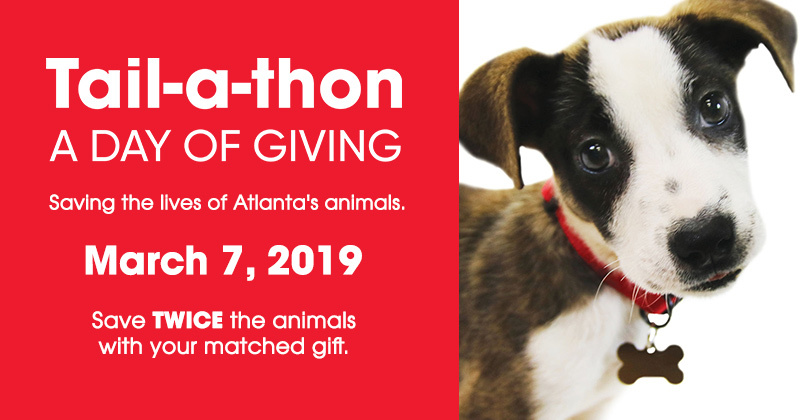 Please watch our Day of Giving stories being told on your television and online on March 7 to see the lives you’re helping to save through your gifts to the Atlanta Humane Society and the heartbreaking stories of those still fighting to make it. 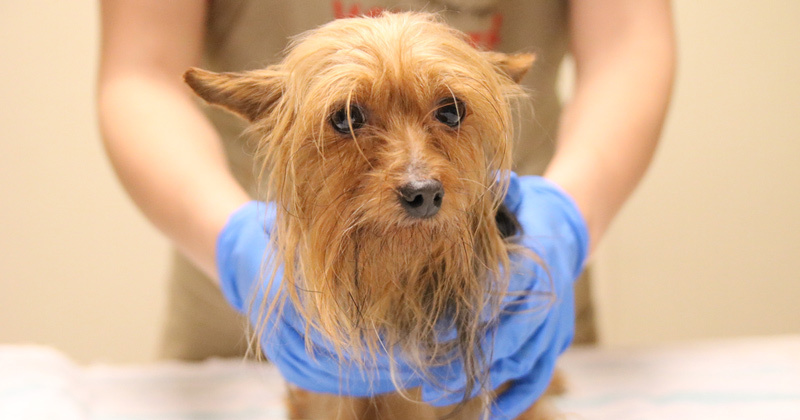 Thanks to a generous donation from Purina, all gifts received by March 6 – up to $50,0000 total – will be matched! Which means giving now will further the impact you can make in animals’ lives. As a private nonprofit organization, we rely on the generosity of donors like you to make our lifesaving work possible. It’s a special relationship that provided 50,000 services for dogs and cats last year, and hopefully will meet the need to provide for 60,000 this year. 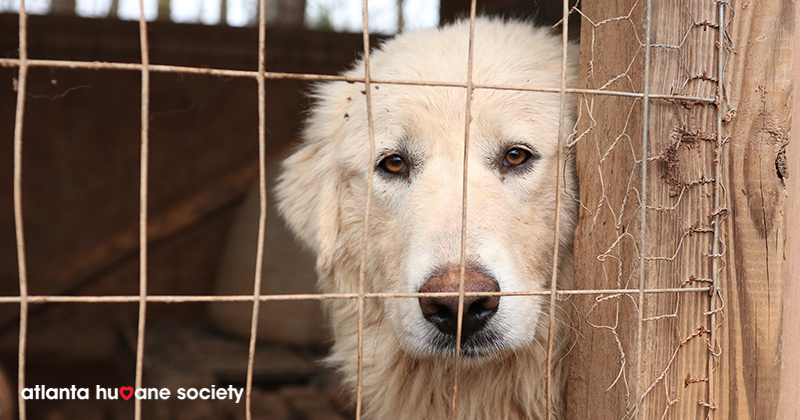 So, please make your gift today to help save even more dogs and cats than ever before. Thank you again for the kindness and compassion you’ve given to animals in our community. Take a sneak peek at some of the videos that will air on March 7.